In 1914, the young scientist Gilles Holst was hired to set up the Philips Research Laboratories at Eindhoven. Almost from the inauguration of the Research Lab, Holst felt that it was already too late to carry out fundamental research on incandescent lamps, and decided to develop a new source of electrical light, the discharge tube. Holst and his colleague Oosterhuis had shown that the striking voltage of neon depended on the material of which the cathode was made, being low when the material had a low work function (e.g. sodium or magnesium) and high when the work function was high (e.g. silver of graphite). They therefore assumed that electrons were liberated by positive ions striking the cathode, rather than by collisions with gas atoms, as many scientists (J.W. Townsend) believed. Their assumption was proven right by the discovery of a series of black and luminous striations near the cathode – which became known as the Holst and Oosterhuis sheats - which showed that all electrons must lose their energy at the same distance from the cathode, which only makes sense if they originated from the cathode. Holst and Oosterhuis also investigated other ways in which the cathode affected the discharge. They found that if the cathode temperature was low, the cathode was sputtered by the bombardment of positive ions. However, if the cathode temperature was high, the thermionic emission of electrons would form a charged double layer in the vicinity of the cathode that would prevent the ions from reaching the cathode. 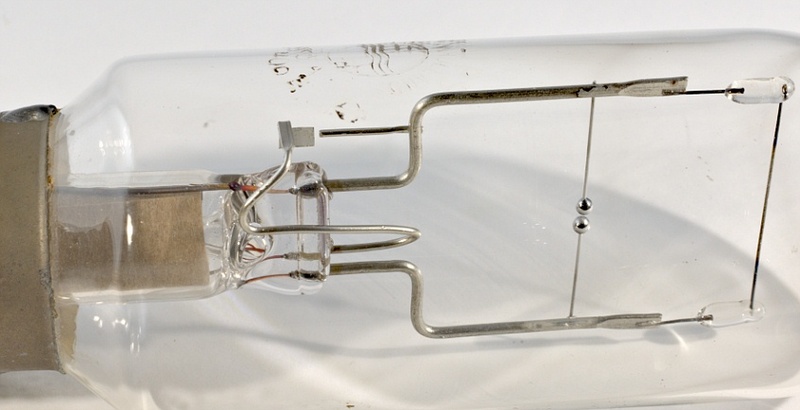 This led to the tungsten arc-lamp. It consisted of two small spherical tungsten electrodes which were mounted in such a way that they were more or less thermally isolated from the supporting frame. 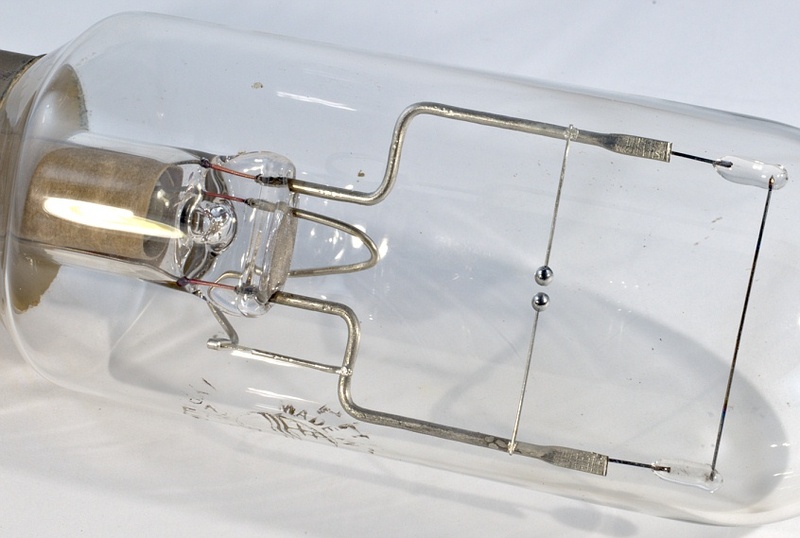 The arc-lamp was operated from an AC voltage. When the tube is switched on, the spheres are heated to such a temperature that they became white hot and started to emit electrons. From then on the electrode would be heated during the positive phase of the AC voltage, while during the negative phase sputtering of the electrode was prevented because of the charged double layer.